About 2 weeks ago when we were all expecting KS to be back home to Broome soon, it again surprised us with another detour. 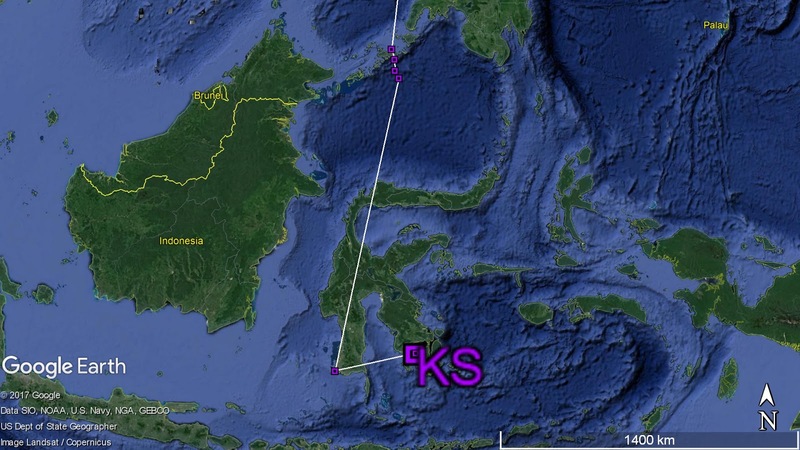 On 12-Sep, after flying 6 days non-stop from North Korea for nearly 4,900km, KS suddenly made a north-east turn before heading offshore from South Sulawesi, Indonesia. Within 6 hours, KS again travelled at its maximum speed of 55km/h for 330km to arrive at a reef area in South East Sulawesi. Since mid-night of 13-Sep, KS has now stayed in South East Sulawesi for 13 days. Besides the beautiful coral reef and sandy beaches, it is also apparently using farmland again. According to weather charts, there haven’t been any days with southerly winds blowing in the past 13 days. We hope KS has now been replenished with energy and ready to head back to Broome at any moment. 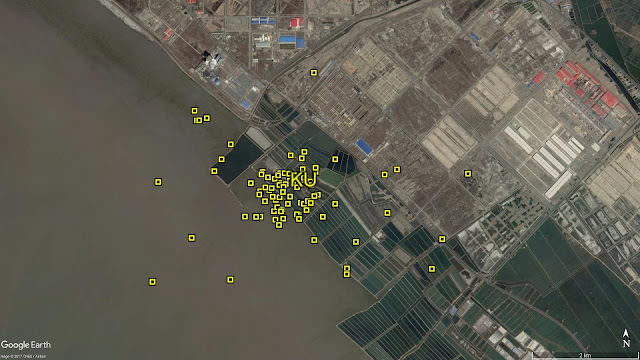 Let’s not forget KU, the other successful runner returning from the breeding ground, it has stayed at Yingkou, Liaoning Province for 50 days! This is the longest period of stop-over among our two Whimbrels (KS and KU) which made it to the breeding ground. 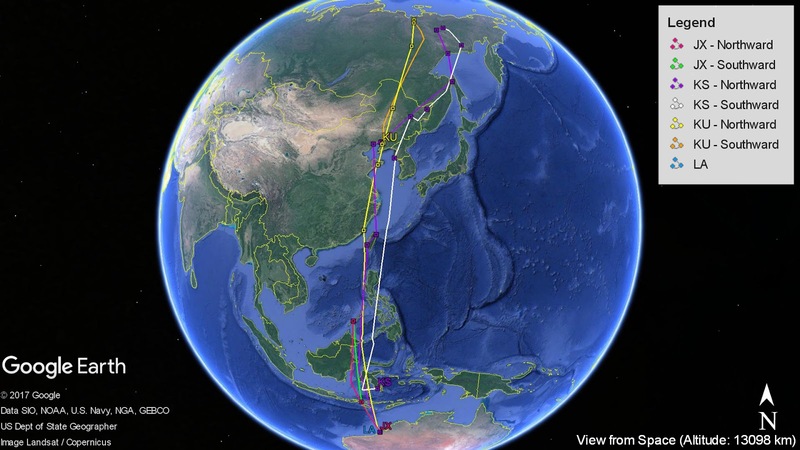 Comparing to the northward migration race to the breeding ground, maybe KU is really at no hurry at all for its journey home. In Yingkou, KU ustilises both aquaculture ponds and intertidal mudflat. On the other hand, we are still receiving regular signals from JX and LA from Broome and Eighty Mile Beach.